Nothing but good in this post. Good news, good riding, good weather, good company. Sophie and I were glad to get out of Siem Reap. Car people, I guess, would describe it as going from 0 to 60 to 0 very quickly. From rural shacks without running water to suddenly massive resorts, towering hotels, tuk-tuk drivers, and tourists and then suddenly back to rural shacks without running water. Such is Cambodia. After 30 final kilometers on the main highway, we turned north at an unmarked turnoff at Dam Daek towards the rural northeast of the country. A few notes about this area that we’re riding through. 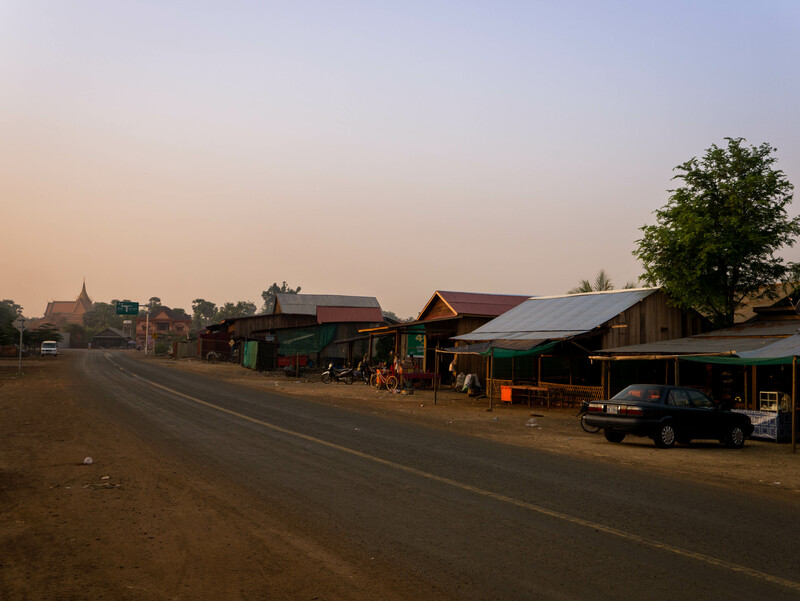 Preah Vihear Province is the site of a 2008-2011 border dispute between Thailand and Cambodia over ownership of Preah Vihear temple near the northern border. It is a conflict that goes back to the 19th century, with international courts and observers trying at various times over the years trying to issue declarations that might settle the issue calmly. Preah Vihear temple was also the site of the last stand of the Khmer Rouge in 1998 after the fall of Anlong Veng. Pol Pot’s grave is there, and the northern areas of the province are heavily mined. Fortunately we are staying on the road, away from the mines, and far away from the border. 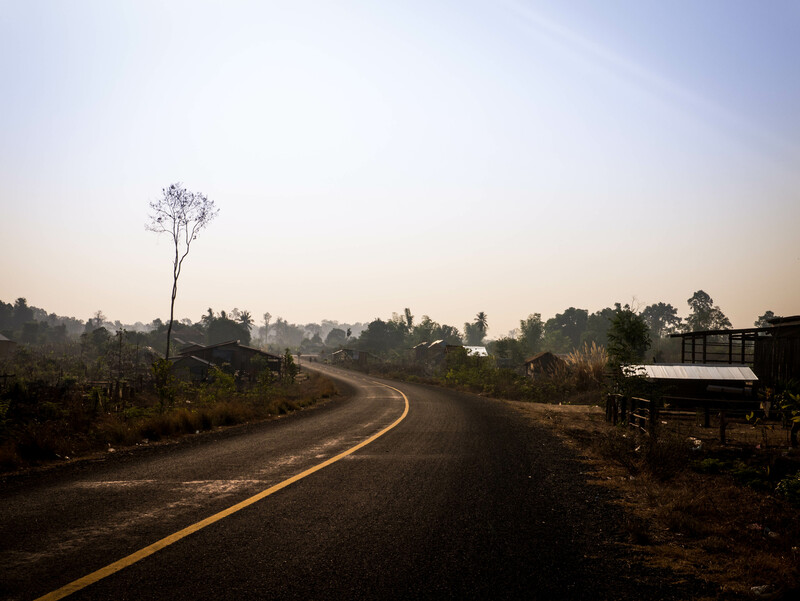 We took a rest day at Preah Vihear city, but that is far away from the area and temple in question. And what a road it is! 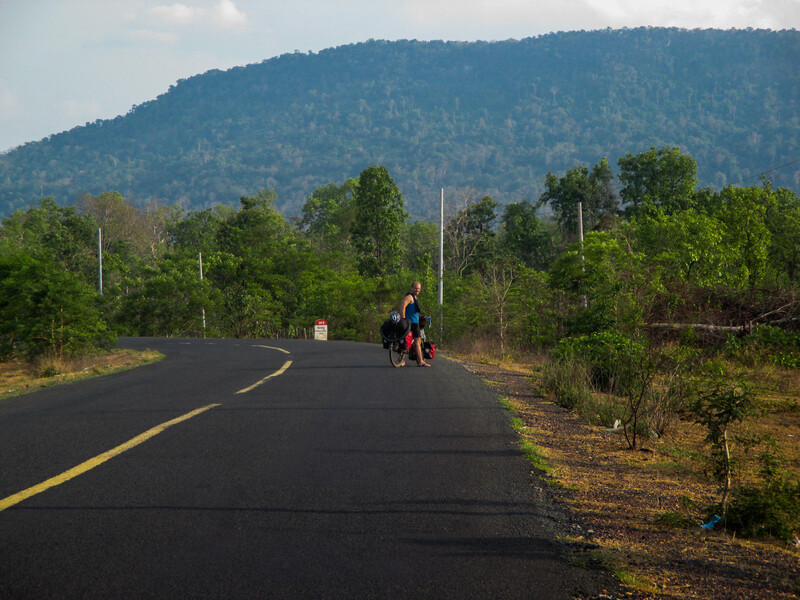 We had been uncertain about the state of this road for awhile, but two women cyclists we met coming the other direction assured that we have a nice, paved, and flat road with very little traffic ahead of us until the border with Vietnam. This was new information, and was music to my ears. Just two years ago this road was potholed at best, and sandy/dusty at worst. We are thankful for this good news. 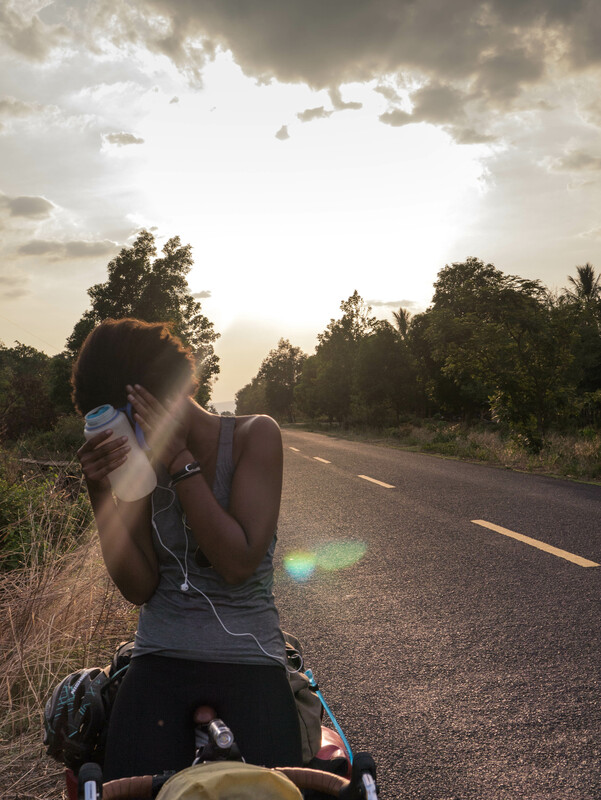 The main road was so exhausting to ride on because the traffic and potholes make it impossible to tune out and let your mind wander. Out here, it’s just us, motorbikes, a handful of cars, and groups of children yelling ‘Hello!’ as we ride past. Encouraged by this good news, Sophie felt good one afternoon and we did our first 100km day of the trip. After doing 180km over two days, we took a rest day and celebrated the Khmer New Year in Preah Vihear city. Well, our definition of celebrating was more like stay in bed all day, replenish our sodium reserves, and nap. Chhaeb at sunrise before the haze burns off. pretty standard for the small towns we’ve been passing through. Nice guesthouse here though, in addition to the temple, which is usually friendly to travelers. That being said, however, the region is very clearly seeing the effects of Chinese investment. This new road that we are riding on can’t have been built more than a year or two ago, and new buildings (some more substantive than wooden shacks with thatch roofs) are going up in each town. It is possible to cycle through here now doing an average of 75-90/day and not camp. 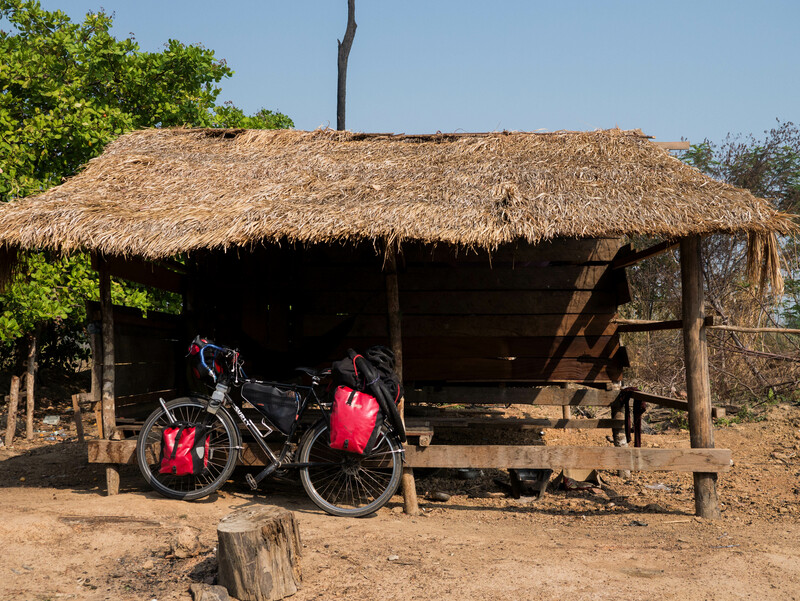 For future cyclists passing through the area, be on the lookout for guesthouses in Svay Leu (dirty guesthouse, but only 75km from Siem Reap), Kulen (135km from Siem Reap), Preah Vihear (tons of guesthouses, as the town was supposed to be a tourist stop until the road got built, 172km from Siem Reap), Chhaeb (new guesthouse, very nice. 227km from Siem Reap) and finally Stung Treng on the Mekong (many guesthouses, 325km from Siem Reap). I’m not sure how long this road will hold up, because it doesn’t look as though it was made with a very solid foundation. But it’s here for at least the next 2-3 years without potholes. A nice road, but how long will it last? Now, one note about deforestation. 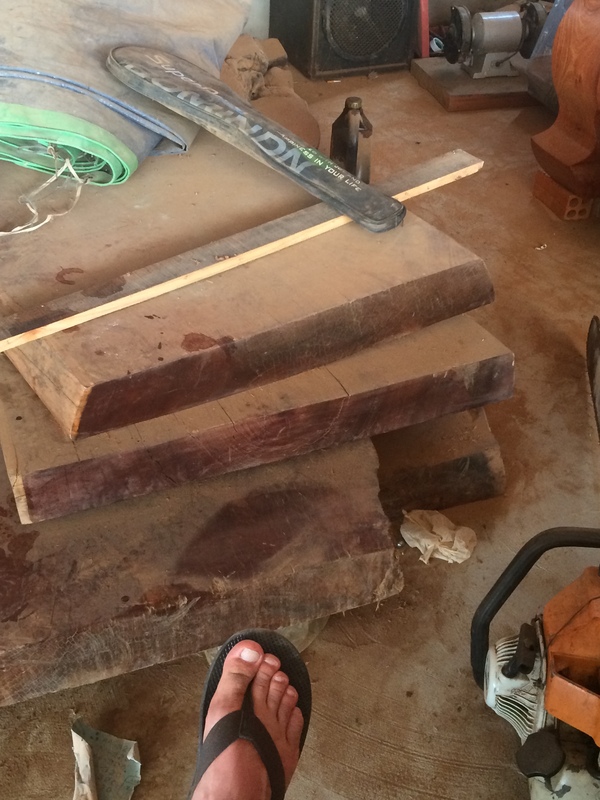 Every gas station, minimart, and family shop sells fantastic mahogany furniture, made from mahogany trunks that must have been about 3-4 feet around when they were growing. Every guesthouse we’ve stayed at (~$10-15) is full of mahogany furniture and huge, heavy doors. Day laborers lounge in beautiful mahogany chairs. Furniture is basically more avaliable out here than protein. This can’t be healthy, but I couldn’t write the blog post without pointing out what we’ve seen. Many fields have been very sadly slashed and burned, and there has been a lingering smokiness over the last few days of riding. Ugh. Slabs of hardwood, again just sitting in the back of a gas station. Foot for scale. 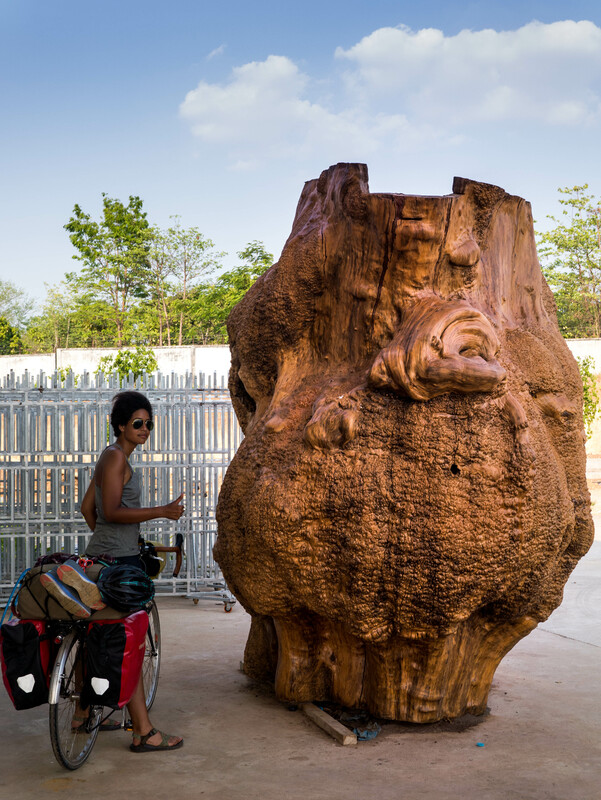 An insane hardwood trunk, just sitting outside of a gas station. Sophie for scale. An abundance of small, abandoned shacks to take refuge from the heat in. At least, so we thought until a woman showed up and started doing her laundry. We’re now in Stung Treng, just across the Mekong. Speaking of Chinese investment, there is a new 1.7km long China Cambodia Friendship Bridge that has been constructed across the Mekong outside of town. It was finished in 2014, another sign of the investment in the region. But is it for a good purpose? Or just a way for companies to get at that sweet, sweet mahogany? A little of both, I guess. Mekong! Bridge! No ferry anymore! 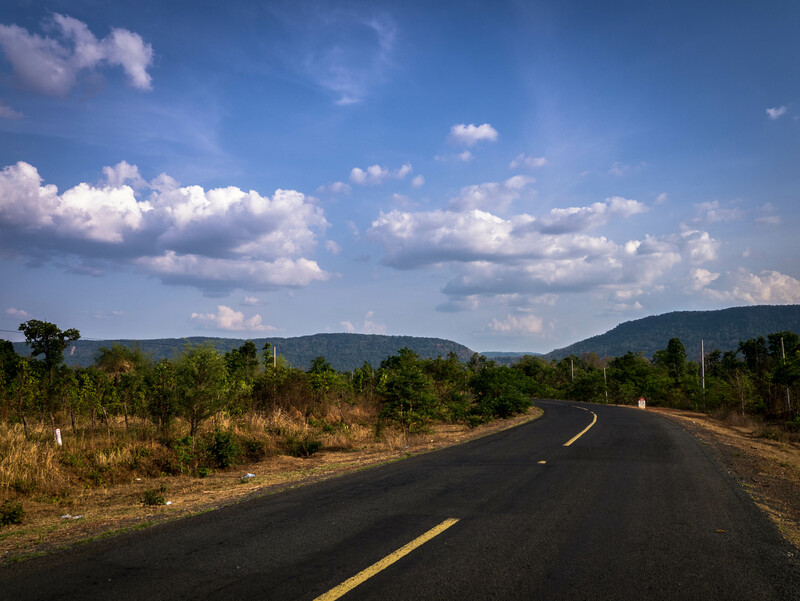 On to Rattanakiri Province! 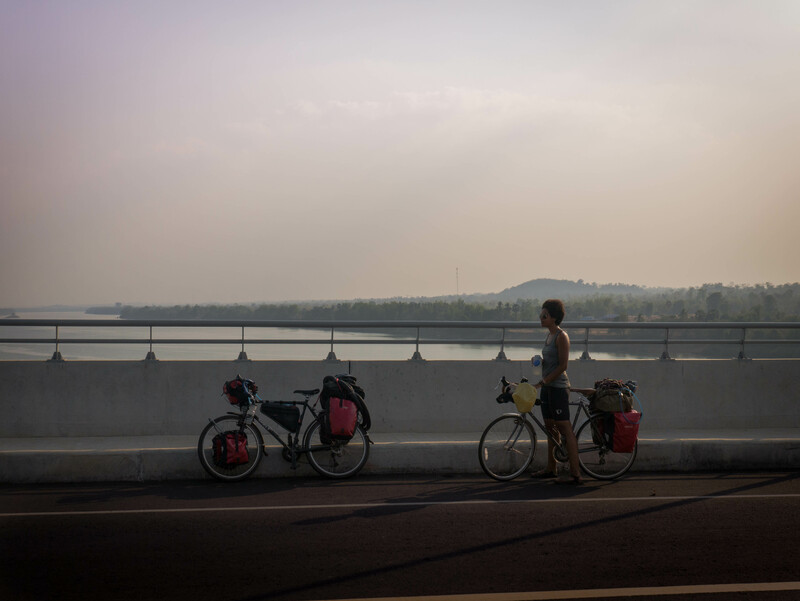 With only 210km to the Vietnam border, we’re ahead of schedule according to the start of Sophie’s Vietnam visa. We’ll need to kick back and relax in Banlung for a few days if we’re there too early. It is supposed to be a nice place, with a nice crater lake and many waterfalls to swim in. We’ll finally be heading up in elevation, bringing cooler temperatures and more jungle (if it hasn’t been cleared). Then on to Vietnam, and the real climbing begins.